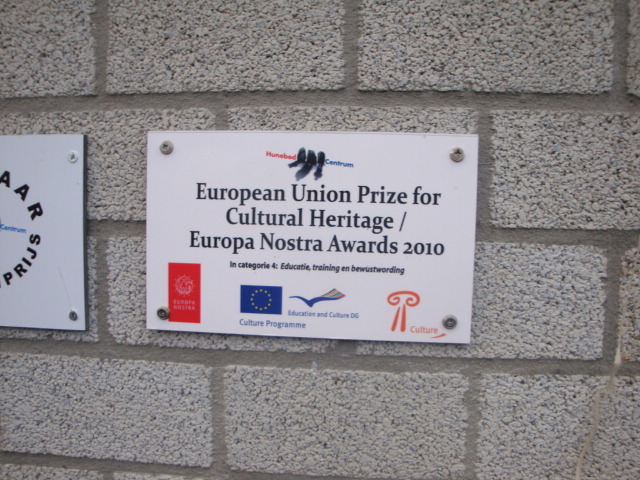 The European Union Prize for Cultural Heritage / Europa Nostra Awards showcases annually the greatest achievements in maintaining and preserving Europe's shared cultural heritage. In the category "Education, training and awareness-raising", fellow EXARC member, the Hunebedcentrum Borger (NL) was awarded the Europa Nostra Award 2010 for their work "Empathic Archaeology - On Storytelling and Identity". In their own words: "The Jury is very impressed by the variety and volume of creative tools this museum uses to engage a diverse public in the prehistoric monuments in the north eastern part of the Netherlands. This engagement has been achieved whilst simultaneously retaining scientific credibility, thereby creating an excellent model of how to successfully facilitate public awareness of archaeological heritage." EXARC congratulates our member the Hunebedcentrum with this award and is happy, they take an active role, both in our Grundtvig Learning Partnership as in the new project OpenArch.